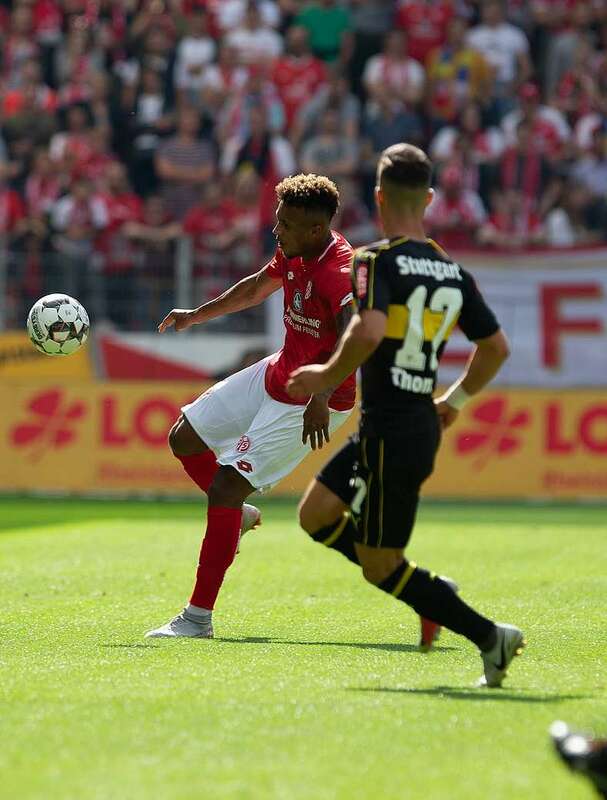 Ivory Coast international, Jean-Philippe Gbamin has suffered a torn muscle fibre in the adductor area during the Bundesliga match between Mainz versus Stuttgart on Sunday. Joern Andersen fired! Who is next ? Who will be the Bundesliga champions this season ? It is a question followers of German football league have been asking. The top contenders for the title are Schalke 04 and FC Bayern Munich. Both teams are tied with 64 points. Bayern is presently in pole position because of superior goals difference. As usual the Bundesliga is exciting because anything can happen. It is crunch time. The remaining two matches for Bayern are against VFL Bochum and Hertha BSC. Bochum and Hertha are battling against relegation. They are not willing to go down without a fight. Time will tell if both matches would be easy as Arjen Robben, opined that Bayern needs to win both matches and they are champions. Schalke will face Werder Bremen and 1.FSV Mainz 05. Bremen will try to defend their present third place when they play in Gelsenkirchen. 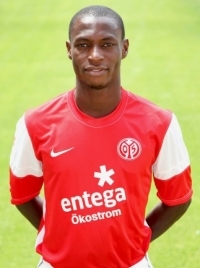 Mainz 05, definitely aim to round up a good season under manager,Thomas Tuchel, at home against Schalke. Bayer Leverkusen, Borussia Dortmund and VFB Stuttgart have their eyes set for Europe league. On another note, Hamburg, sacked Bruno Labbadia yesterday. Hamburg lost woefully against Hoffenheim 1-5 last weekend. It was clear after the match that Labbadia had to go. Dieter Matz, a Hamburg expert, believes the players do not have an alibi anymore. Labbadia is gone but the problems remain the same. Hamburg is a team without consistency in leadership both on and off the field. May be they should take a cue from next door neighbor St.Pauli. Holger Stanislawski, the manager of St. Pauli is a symbol of stability. St.Pauli look poised to play in the Bundesliga next season. It is a given that Kaiserslautern are back in the Bundesliga. The other teams have to wait for at least one more match to know their fate. Joern Andersen was fired this week as head coach of FSV Mainz 05. The management of FSV Mainz 05 decided to sack Andersen after a dismal performance in the first round of German cup. Mainz lost to fourth division VfB Luebeck 1-2. It was reported that the Norwegian had problems with the team, ranging from communication to hard training methods. A cursory look at Mainz reveal that Joern Andersen could not shake off the stark influence of Jurgen Klopp, the former coach of Mainz. Jurgen Klopp played for Mainz 05 for eleven years and coached the team for seven years. His arsenal is his charm and communication skills. In an interview with the Welt, shortly before his sack, Andersen said he is different from Klopp and he is tougher with the players than the former coach.He place emphasis on discipline and small stuff. Although, Andersen was able to bring back Mainz 05 to the Bundesliga in just one year of his reign, there was dispute with the team in terms of the way forward. The new coach is the 35 years old Thomas Tuchel. A former coach of Mainz 05 junior team. He is a neophyte in the Bundesliga but he has worked with Ralf Rangnick. His philosophy is based on communication and team work. Do i see a resemblance to Jurgen Klopp ? Joern Andersen will go down in history as first ever Bundesliga coach to be sacked prior to the beginning of the season. Who might be the next coach to be fired ? Dieter Hecking of Hannover 96 is speculated to be the next coach whose job is shaky. His team also lost in German cup to fourth division team, Eintracht Trier, 1-3. The Bundesliga will begin tomorrow. One thing that is constant is coaches will be sacked. The variable is the name of the coach.